VM: Hello Lynn! Many thanks for your willingness to give me an interview. I am very much impressed with "Early Recording From Kansas" in general and your vocals on the album in particular. 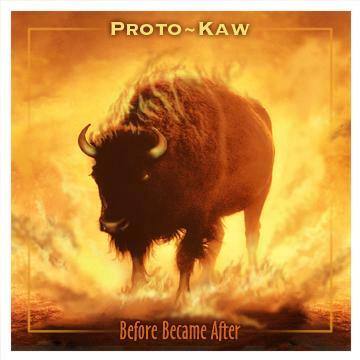 I am especially enthusiastic about Proto-Kaw's return to the world of progressive music. You're just about to finish working on the new album "Before Becomes After", which will be released this fall. What sensations do you experience now, being involved in the process of creating music again and with the same people you played with more than thirty years ago? LM: The whole experience has been great fun. When our older music was released (Proto-Kaw: "Early Recordings from Kansas 1971-'73") last year, it was kind of a novelty and rewarding to get good reviews from music we created 30 years ago. But the success of that CD has prompted us back into the studio to record all new material and it has truly been a strange experience. The best part though has been renewing old friendships and working with all the guys again after so long. Many of us had not seen each other in 30 years, so it was unusual to in a way: starting over with our friendships. But everything has gone so smoothly: no fights or anything!!! All kidding aside, we all relate well together and are thankful for our new opportunity. VM: Can you tell me of how you worked on the materials that later became the first Proto-Kaw album and now, on the songs for "Before Becomes After"? LM: Well, the first CD was already recorded in the early 1970s. It was our "demo" music we used to send to record companies. Kerry Livgren took those old tapes and digitized them and re-mixed the songs, and he did a fantastic job. The material on the new CD is all new compositions from Kerry. He wrote five new songs and re-worked four that have never been recorded. He is really in a creative stream now and this music is his best in many years. Kerry also made it quite easy to record. We all practiced on our own and came in small groups or individually to record our parts, so it really fit all of our busy lives. The whole experience was very rewarding and the music is something all of us are proud of. VM: Here is the question (rather, my supposition) concerning the band's name. "Proto" is "Pre", it's clear, and Kaw is most likely the original, Indian, name of the territory Kansas is currently located at. Right? LM: You are very good at your Kansas history! That is exactly what it means. We were the original Kansas or some called us "Early Kansas", but obviously could not use the name. Proto-Kaw is an okay sounding name and has some meaning. I am a believer that most band names are a bit goofy sounding until the band becomes famous... at that point their goofy name becomes "cool"... so Proto-Kaw is okay with me. VM: Can you explain Kerry Livgren's departure from the band back in 1973? LM: Kerry left our Kansas at a time when we were down and out and had exhausted most of our opportunities for success. We had lived on virtually no money for years and not been able to get our record deal. We were depressed about our lack of success and of course, that affects your attitudes, your music, everything about you. A band called White Clover had record ties, but needed more original music. Kerry was a perfect fit for them. Soon after Kerry joined them, they started using the name Kansas and went on to good success. VM: You have a unique situation with the two Proto-Kaw albums released one after another, while the first of them was recorded far back in 1973! With the release of the second album, the band becomes a full-fledged member of the contemporary Progressive Rock movement, and not only part of the history of the genre, as it would've been if everything would had limited by the release of "Early Recordings". What are your thoughts on all of these circumstances? LM: Well, to be honest we are a bit nervous about our new situation. The first CD is a novelty or historical piece, so people are more forgiving with the music. The new CD is different. We will be compared to many great bands of today and have no excuses about bad recordings or novelty music. We very much enjoy being classed as "Progressive Rock" and feel our music is truly progressive, but not in the standard sense. It seems to me that there is a stream of Progressive Rock that has fallen into a "formula" where the songs are all structured in the same way. We believe that Progressive Rock should be more than that. It should be progressive by pushing music to new areas. That is why Prog Rock fans take pride in listening to bands that the radio companies have avoided. Thirty years ago we played Prog Rock before it had a name, and many people loved us, but many thought we were crazy. Today, we are doing the same thing: our music is unique and not structured like many typical Prog Rock songs. We have hard rock, jazz, funk, avant-garde solos, percussion, strings, harmonies, strange time signatures and beautiful melodies that are arranged in some non-standard ways. In our minds, it really is progressive, unique, and with that comes risk - risk that people will again think we are crazy! But many will like it and we are proud of our sound and ready to present it to the world. VM: Were these just a set of fortuities or was it God's hand of Providence, if you will, that brought you back to the Prog scene so many years after you parted with it? LM: I believe in "God's hand of Providence" so that is my take on this whole deal. The whole thing is so bizarre! It has to be arranged by something or someone! We had not even talked to each other in 30 years, and then to be together again and recording is really weird! Plus, to have the critical acclaim we received on the first CD was rewarding. Kerry said that it was his experience that we had an overwhelming percentage of positive reviews compared to any other album he has been associated with. So we all took that as a real positive. VM: Kansas is the band of your youth, and you became part of it at the very beginning of the 1970s. Was it your very first appearance on the Rock music scene? LM: I began singing at 13: singing soul music with horn bands. My friends chose to play football, and I went into music. I saw the Beatles one night and started a band the next day. I sang soul music until 18 when I played with some of the guys that would later be with me in Kansas. At that time, our music started to go into pop areas and eventually switched to all original when Kerry started writing. Kansas was my first venture into pure rock, even though I had loved English rock for years. VM: By the way, how long did you continue in your activity as a professional musician after the first chapter of Kansas's story was closed? Were there some other bands or projects you have participated in? LM: After Kansas, I sang in club bands for a few years where we did cover music. I didn't like it. I missed doing original music and quit. I didn't sing again until a friend of mine asked me to record his songs in the early 80's. The music was great "new wave" Rock, and it was fun. The band was called Plastique, and its music is still enjoyable today. After that experience I never sang again until this project. VM: In my honest opinion, you're one of those great vocalists whose way of singing is distinctly original, just unique. Is it charisma or you were just able to avoid anyone's influences? I pose this question to you because it's clear that you had time to listen to many varied bands and, thus, vocalists before you became a singer for Kansas. LM: Thank you for your kind words. I don't try to sound like anyone, but there are so many singers I love to listen to. When I was young and starting out, I used to try and imitate them, but I would fail miserably, so I just sang: so what you hear is what I am. I was most influenced to try my falsetto by listening to Ian Guillen of Deep Purple. He was such an innovative singer and I would see Deep Purple whenever I could. I also loved "soul singers" like James Brown and Otis Redding, but also singers like Robert Plant and Steve Perry. So, I am influenced by many types of singers with different styles and my voice is a probably a hybrid of people I respect. Actually though, I really am quite self-conscious about my voice. I do not think I have a "pretty" voice, but I feel I have the ability to change my voice and to sing with emotion and passion. Those are the tools I have to work with, so I try to be "different" sounding when I can and if it lends with Kerry's music. VM: Did your voice and style of singing undergo changes with years? Will we hear your amazing vocalizes on the band's new album, too? LM: I was scared about singing on the new CD, and had not sung in a band since 1984. I tried to sing at some parties over the years and noticed that my voice sounded pretty pathetic! A voice is like a muscle and mine was out of shape! 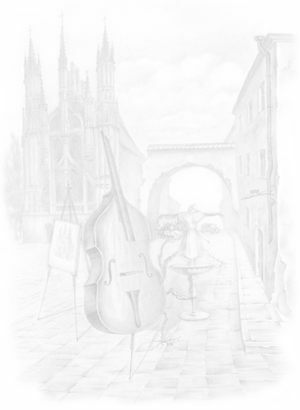 Once I started to practice though, my voice came back, and I must admit I am quite surprised that I have been able to re-capture my range of 30 years ago and, in a strange way, feel my voice is much better now than at that time. I guess I am more mature and grateful that I have a second chance in life to do the thing I love the most, and as a result take my opportunity much more seriously. Kerry's writing on the new CD has allowed me to sing in different ways, and Kerry would encourage me to try different vocal sounds. I think he likes me to sing instrumental parts in some of his music. LM: Ken did such a great job with the CD cover art! What we wanted to do was use our "home" environment of Kansas and blend it with the concept of "Before Became After". We started with prairies, buffalos, tornadoes, and prairie fires - all the things of a Kansas prairie. We finally settled on the "flaming" buffalo and thought Ken was able to visualize the intensity of our music with his art. Ken's back cover art of the buffalo resting in the snow was another great visual - after the fire has passed. VM: Is the new Proto-Kaw album Kerry Livgren's brainchild again? Are the songs all new or some are from that time when Proto-Kaw was still Kansas? LM: All the music was written by Kerry, and it is some really great material. Five are brand new and four are re-worked compositions that were never recorded. What has been so fun is that we can still experiment with our sound, just like the old days, only now we have so many sounds and tools at our disposal. Years ago we always wanted to use strings, percussion or effects on our music, but were unable to. That has all changed. I also want to say that all of us in Proto-Kaw really appreciate Kerry coming back into music with us on this project. He has his own career and studio, and this has all taken away from those efforts, but we know he is enjoying this and is proud of all of our efforts. VM: And what about the lineup on "Before Becomes After": is it the same as that on "Early Recordings"? LM: The band line-up is basically the same. There is Dan Wright on keyboards, Kerry on guitar and piano, John Bolton on sax and flute, Brad Schulz on drums and myself on vocals. Our old bass player, Rod Mikinski, has a full schedule and only had time to record one song. As a result, we had another bassist: Craig Kew join the band. Our original piano player, Don Montre, passed away years ago, and Kerry has picked up his parts in the studio. If we play live, we will probably need to acquire another keyboardist. VM: What is the recording company that "Before Becomes After" will be released by? Is it still Cuneiform or, perhaps, Kerry's own Numavox Records, or some other label? LM: It will be on Kerry's Numavox label. We appreciated Cuneiform Records and they did an outstanding job for us. All the people there are great, but we wanted to release this CD sooner than we could on their label. VM: Will you be touring in support of your new album - at least in the USA? LM: We are considering that and will play live at our CD party in early January. We have a few offers to play, but most promoters do not know about us yet. We'll have to see how that develops. Maybe we can become popular in Europe? We would love to do a tour there. VM: Does the band have at least preliminary intentions to record and release another, the third Proto-Kaw album? LM: Right now we are going to see what happens with this CD. At some point we will definitely consider doing a third CD. VM: Is it possible that you'll participate in some other music projects remaining a member of Proto-Kaw and continue your musical activity if the band splits again? LM: I would love to sing with any band that will have me!! Seriously though, Proto-Kaw is my passion and will be my focus, but I have many years to make up for and would love to sing as many times as I can. We'll just have to see how that develops. VM: Finally, let me please pose an intimate question to you. What are the things you consider the most important in your life? LM: My family, friends, religion and, thankfully again, my singing. Having another chance with singing is what it might be like when someone has a near-death experience and another chance at life. That's a bit over dramatic, but all of us are grateful to do this again. We all have jobs and kids and do the things everyone else does: now all of a sudden, we have another chance at our music. At an age in life when most musicians fade away, we are emerging. It's truly bizarre! As a result of this, I am extremely aware that an artist MUST be appreciative of their fans and the persons who listen to their music. Over the past 30 years, I got so sick of hearing about how musicians / artists would act so immature and disrespectful of their fans and jeopardize their talents and opportunities. It made me wonder what I would have done had I become popular in music. So if it is meant to be that Proto-Kaw gains a fan base, it is extremely important to me that we will be appreciative of and responsive to the ones who like our music. VM: Thank you very much Lynn for finding time for doing this interview. With all sincerity, I wish you health and happiness and that all of your most cherished desires to come true. LM: Vitaly thank you so much for your time and efforts with this interview. This is the best group of questions I have received: they are very insightful, and I enjoyed answering them! 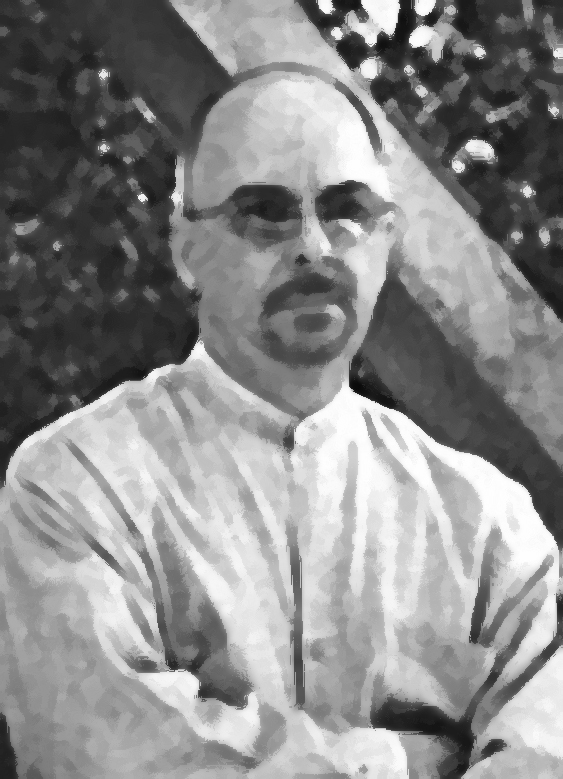 Special thanks to: our common friend Ken Westphal who is undoubtedly one of the greatest progressive (by all means) artists today.